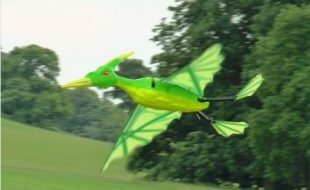 Today, our hobby is enjoying a literal “Golden Age” of RC electric flight. 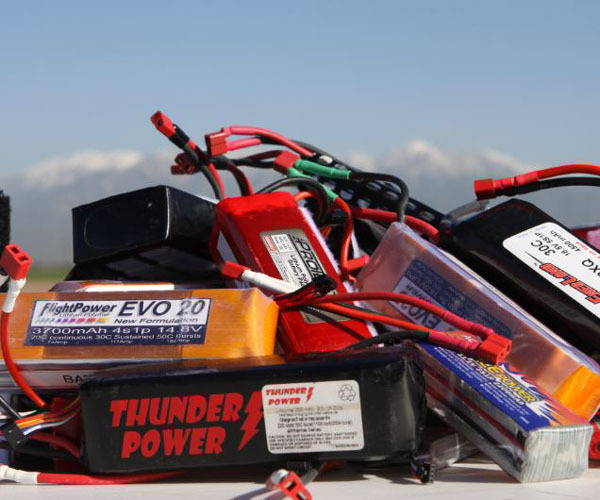 The amount of quality motors, batteries, controllers and connectors is just about limitless as are the types and sizes of airplanes you can fly with E-power. Even though there are plenty of plug n play packages out there where you get everything needed in one box, the newcomer can find it difficult get started. 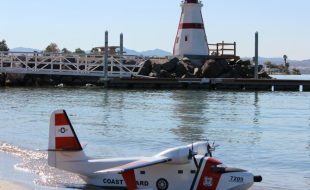 Whether you are a beginner or an experienced RC pilot, if you’ve never experienced an airplane with clean, quiet electric power, there are some basics you need to know to be successful. Let’s get started. 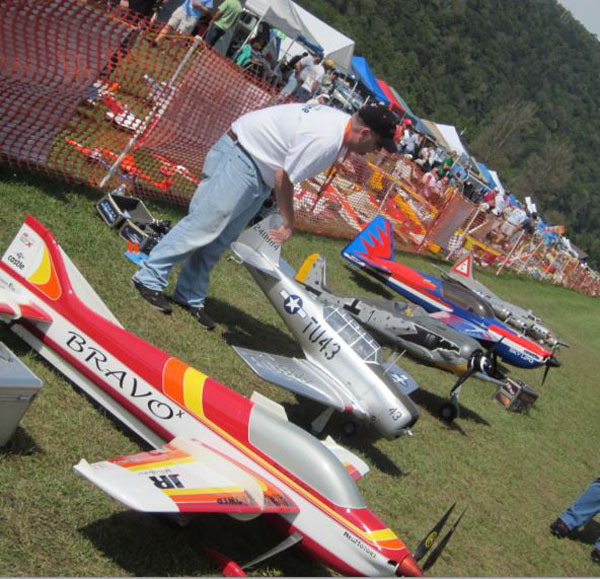 Today, there are all types and sizes of electric powered models, take your pick. The first thing that you need to understand with electric airplanes is you have to look at the entire power system as a whole. One that will work together for maximum power and efficiency for the plane you are flying. And with that, you have to understand how much power will be needed to fly your plane safely. 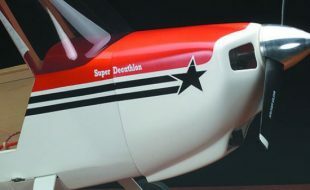 Whether you’re flying a lightweight micro indoor flyer or a large 3D aerobatic plane, its performance is based on the amount of power it develops relative to its ready to fly weight. 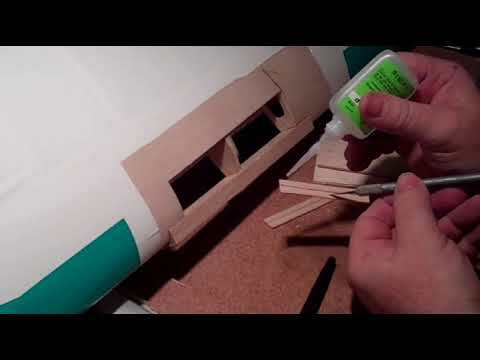 If you get an ARF model airplane, then everything will be included and you’re good to go, but if you are putting your plane together with separate airframe and power system components, then you have to know what will work together. 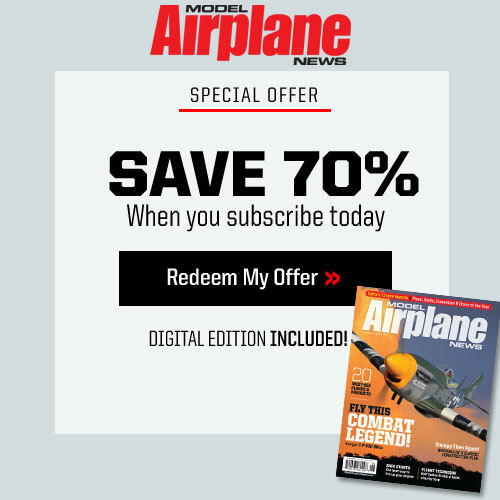 From trainers to sport planes, gliders and electric ducted fan jets, the choices are endless. Electric motors, propellers and battery packs along with a suitable electronic speed controller make up your power system. But you have to use the correct combinations of equipment for your system to operate properly. To determine the power of your model’s power system, you need to measure the voltage and current while the motor is running. The three important parts of the power formula are amps (A) , volts (V) and watts (W). But before we can talk about selecting power systems, we need to understand some very basic things about electric power. 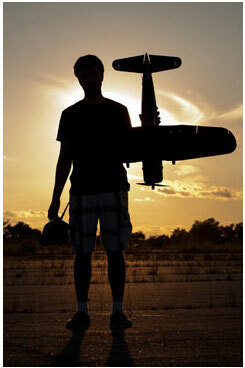 Picking the proper electric motor and propeller is a very important first step. A watt is the unit of electric power in the same way that horsepower is used to express power for an internal combustion engines. You produce a certain number of watts by moving electricity through a device that converts it to power. Movement of electricity through a power system is described by the term ampere (amp), and the force that causes it to move is the volt. The basic relationship between these units with the equation Watts = Volts x Amps (W=VxA.). The most important thing for modelers to understand is that you can produce watts by using a lot of volts and just a few amps or you can use a small amount of voltage and lots of amps. It all works together. What this means is you can use a small amount of battery voltage and a large propeller diameter/pitch size or a larger battery voltage and a smaller propeller depending on the requirements of your model. And to properly power our models we can use a simple rule called the “Watts per Pound Rule”. 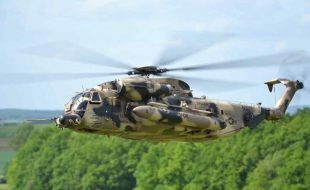 This categorization is a loose, flexible way to estimate the amount of power needed for a specific size airplane while giving the performance required for safe flight. The rule is really just a guideline to determine how many Watts of power are needed per pound of airplane weight and is expressed as W/lb. • 50W/lb. or less. Very lightweight micro RC and slow flyers. • 50 – 75W/lb. 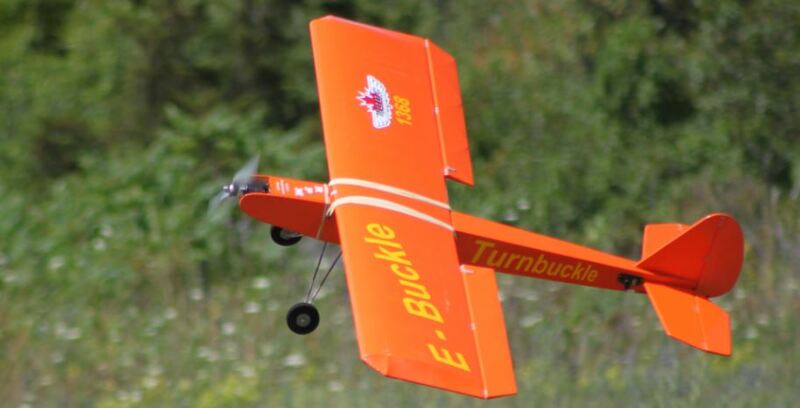 Sport powered sailplanes and gliders, basic trainers, lightweight scale planes, Vintage RC and RC Assist Free Flight designs. • 75 – 100W/lb. – Basic sport flyers, intermediate aerobatics. 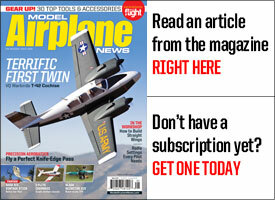 scale low-wing designs and medium size warbirds. • 100 – 150W/lb. 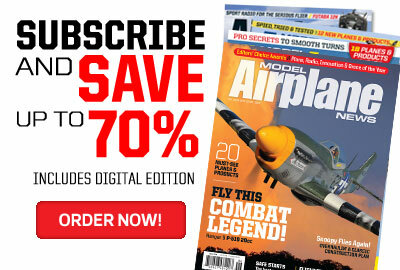 – Advanced aerobatics, pattern flying, 3D planes, larger warbirds and EDF jets. • 150 – 200 plus W/lb. 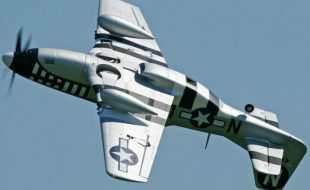 Unlimited 3D aerobatics, warbirds and large jets. Having a quality multi-type battery charger is an important part of the electric modeler’s workshop. Compared to the NiMH and NiCad (nickel metal hydride and nickel-cadmium,) battery packs we used just a few years ago, the new generation of lithium Polymer (LiPo) battery packs (often referred to as Li-poly) have totally altered our definitions for power and flight duration. Where the older types of batteries offered 1.2 volts per cell, (1V under load), Lipo cells offer a nominal voltage 3.7V per cell and they provide much larger capacities along with an impressive weight saving. More voltage and more capacity and lighter wing loadings have really improved our airplane’s flight performance. 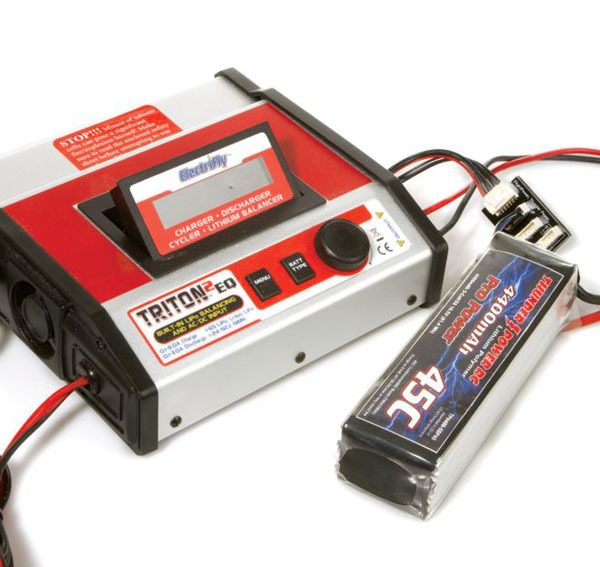 LiPo batteries must be charged carefully and with chargers designed specifically for LiPo battery packs. Though there are many new Lithium battery packs on the market with extreme charge and discharge ratings, for the best longevity of your packs you should use a 1C charge rate. (1 times the capacity of the battery) Example: 3.3A for a 3300mAh battery capacity. Lipo battery packs are the most common used today. 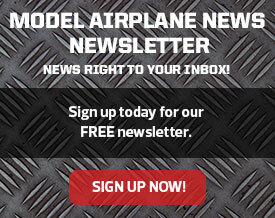 It is important to pick the correct one for your model’s power system. As with most things in RC, extremely high performance RC Lipo batteries with very large capacity ratings have become very popular. Some of these high performance packs have very high charge and discharge ratings up to 5 to 15C charge rates and 45C (continuous) and 90C (burst) discharge ratings. Safety Warning: Because of their internal chemistry, extreme care is required when using and operating LiPo battery packs. Overcharging a LiPo battery can cause the pack to burst and vent violently and can cause the pack to catch fire. As for over discharging, most ESCs allow you to set a low voltage cutoff or use the default which varies by manufacturer. 3.0v is the absolute minimum anyone should use as allowing Lipo cells to go below this voltage will damage them. As with any high-energy electrical equipment and battery packs you should always carefully follow the manufacturer’s instructions for proper use. Unlike other types of batteries, lithium polymer batteries can be stored for one to two months without significantly losing charge. 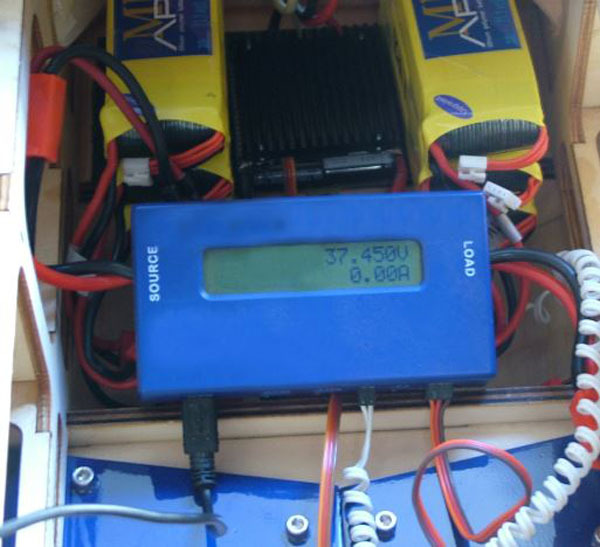 Typical maximum and minimum voltage for Lipo cells should be 4.23V and 3.0V volts per cell respectively. Another battery type of battery used today are the LiFe or A123 (3.3V per cell). Also referred to as Lithium Iron, these are relatively more safe than LiPo cells and are often used for powering RC receivers. 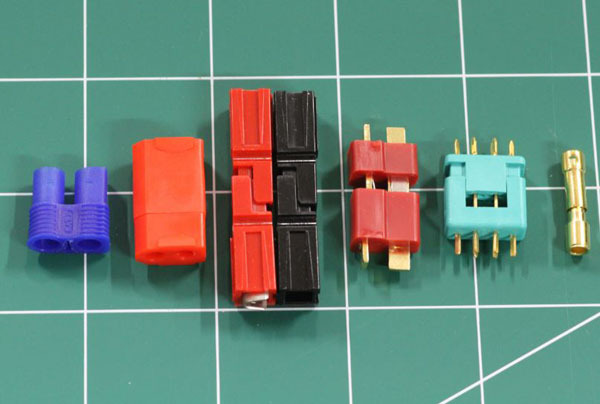 Like airplanes, battery connectors come in several styles and ratings. Connectors are an important element in any electric power system, and you’ll find them in between motors and ESCs and between the ESC and the battery pack. The most important thing to remember is to use the proper size connector for the battery and power system being used. Most of the battery manufacturers today include connectors already attached to the power leads or at least include them in an accessory bag. Using a low quality connector or one that’s too small increases resistance in the wiring and this translates to heat and lose of power. As a rule, you should use as few connectors as you can to maximize efficiency. Many experienced modelers will eliminate the connectors between the motor and ESC by soldering the power leads directly together. Most brand name electric equipment has its own brand and type of connector and you need to use the matching type to charge your battery packs. You can however, simplify your life by switching all of your battery and ESC connectors to a generic one. This will then allow you to mix and match battery packs between airplanes and you can use the same charger to service your battery packs. If, the charger has the proper settings to match your packs. The most common at Deans Ultra T-configured connectors and Anderson Powerpole (APP) (also referred to as Sermos connectors). 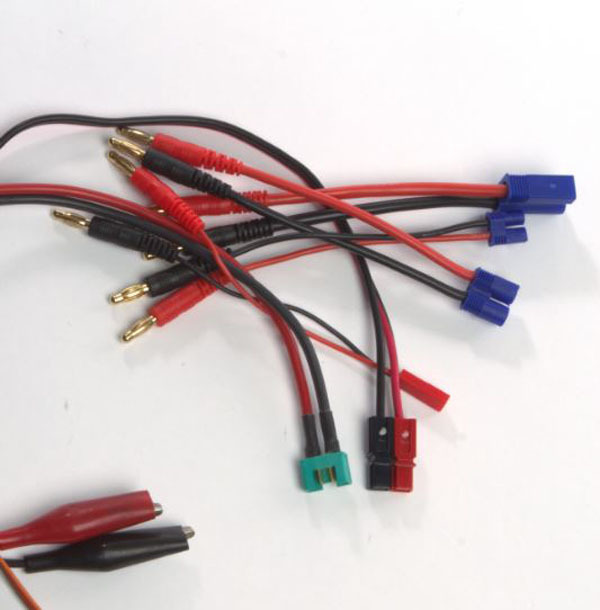 The Deans require soldering and some heat shrink tubing, while the APP connectors can be soldered or crimped onto the power leads with a special crimping tool. 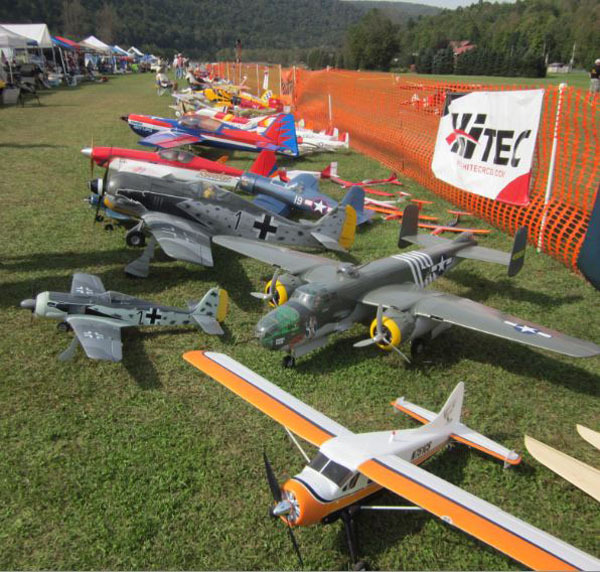 At the annual NEAT Fair the electric power airplane hobby is highlighted in a very big way. Ampere (Amp): The standard unit of electric current. The current produced by a pressure of one volt in a circuit having a resistance of one ohm. Brushed Motor: The traditional type of electric motor where brushes make contact between the rotor and the stator. The touching of the brushes essentially creates the timing and current to make the motor spin correctly. 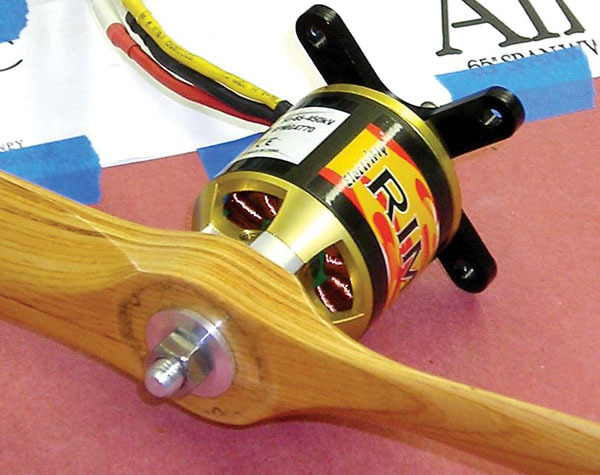 Brushless Motor: Type of electric motor used in RC electric aircraft. 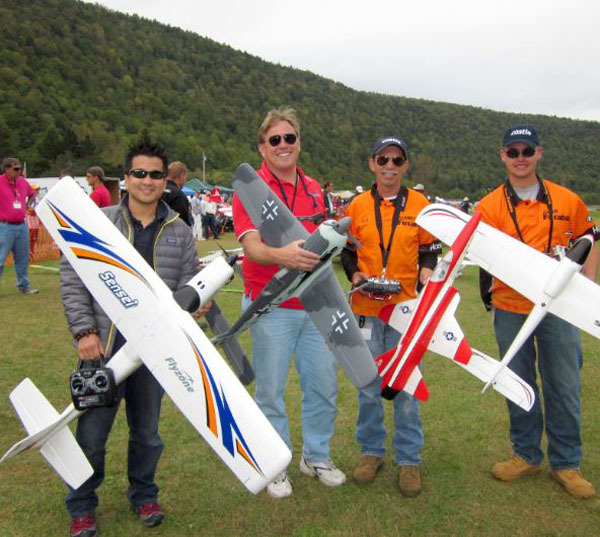 Brushless motors are much more powerful than traditional brushed motors, and are commonly used in electric aerobatic aircraft. They can be inrunner or outrunner motors. Capacity: Is a measure of how long you can draw a specified current from a battery. It is measure in Amp Hours (Ah), or more commonly for the scale of equipment used for electric flight, mill-Amp Hours (mAh). Electronic Speed Controller (ESC): The thing that controls how much current is given to the motor and hence how fast the motor runs. Often they have a BEC (see above) built in. There are two main types – brushless and brushed. Horsepower (HP): A measure of the rate of work. 33,000 pounds lifted one foot in one minute, or 550 pounds lifted one foot in one second. Exactly 746 watts of electrical power equals one horsepower. Inrunners: Get their name from the fact that their rotational core is contained within the motor’s can, much like a standard ferrite motor. They run inside the can. Li-Po: Stands for lithium-ion polymer battery. These are the most modern kind of battery pack being used in electric aircraft. They provide enormous amounts of power for their size, especially when used in conjunction with a brushless motor. mAh (Milliamp Hour): A measure of a battery’s total capacity. The higher the number, the more charge a battery can hold and usually, the longer a battery will last under a certain load. NiCD: Abbreviation for nickel cadmium. They are a form of rechargeable battery cells used in radio control gear as well as motor battery packs. NiCDs are being used less and less these days, as NiMH and Li-Po batteries take over. NiMH: Abbreviation for nickel metal hydride batteries, they are the successors to NiCDs with much better performance and up to 3 times the capacity for an equally sized battery. Only Li-Pos top NiMHs. Outrunner: The other type of brushless motor, where the outer shell, or ‘can’, of the motor rotates with the shaft. The extra inertia produces more torque, so outrunners are more powerful than inrunners and rarely are geared. Power: For electric models this is a product of voltage and amps and is measured in watts. Voltage: A unit of electromotive force that, when applied to conductors, will produce current in the conductors. Voltage is also referred to as electrical pressure. Watt: The amount of power required to maintain a current of 1 ampere at a pressure of one volt when the two are in phase with each other. One horsepower is equal to 746 watts. Watts are the product of volts and amps. A power meter is a handy piece of equipment to have to check how your airplane power system is operating. Never mentioned the motor parameter Kv (motor revolutions per volt), which makes a huge difference in choice of motors and performance range. It would be nicer if you had spoken about how to determine the correct ESC for your motor battery combination. OVERLOAD!! What we need is a simple way to make a change from nitro/gas to electric. I am running out of paper and my calculator is smoking. A power system for a given model (nitro/gas) is engineered by qualified individuals. The power system (nitro/gas) is suggested, when you get a set of plans or a kit, The fact that you don’t see a published chart, probably means it’s a lot harder to understand what is necessary to select the best power system. (electric) I guess no one wants to be responsible for the model and subsequent ground damage caused when it catches on fire while in the air. Yes it certainly can be overload when everything is unfamiliar. A simple way to get your mind unstuck is to look at a brand that markets “glow equivalents”. I enclose a link to e flite who market 10, 15,25, 32, 46, 52 ,60, 90, 180 equivalent sizes. They come with recommendations for speed controller & prop. The connectors should all match. Personally I prefer other brands for reason of efficiency, data logging & telemetry. Once you find the e flite combo you can search for other manufacturers stuff that has similar size/wt/Kv(rpm/volt). 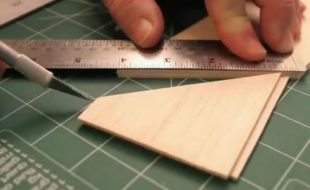 The propeller size for an electric will often be a larger diameter. My 40-80 size electrics usually run at 8-8,400 max rpm so I need a prop slightly bigger than a 4-stroke. This company has a history of helping with matching systems to unusual projects. Or you could post a question in RC groups electric conversion forum. As a retired electronics engineer I must congratulate you on a job well done. The watt is often misunderstood since vacuum cleaner ads started telling people that big, huge amps is a really good thing. Many people relate amps to power. It is not. When a MILLION amps flow through a superconductor (reference Meissner Effect) there is no generated voltage, and therefore no power whatsoever can be utilized. Contrast that with the theoretical fact that 1-amp can power an entire city if it can be distributed at a high enough voltage. Thank you for your accurate and informative article. The WATT is the unit of electrical power. Not current alone, and not voltage alone. The only thing big amps tell you is that your vacuum cleaner will cost more to use. Don’t be fooled by ads! Good information for beginners and folks like me who are returning to the sport after a long time away. As follow-up, how about how to decipher the non-standard numbers associated with electric motors? each manufacturer seems to have a different way (or ways) of identifying them. Also a primer on how to select the right propellers would be helpful. Thanks. Is this a reprint article? The pics seemed to show batteries from 5-7 years ago. While the watt chart is classic most flyers I meet are using 100watts/lb as the minimum. Get a charger that can be powered by both 115VAC (wall socket) and 12-24VDC (at the field). Avoid the hassle of a separate 115VAC power supply with DC output. 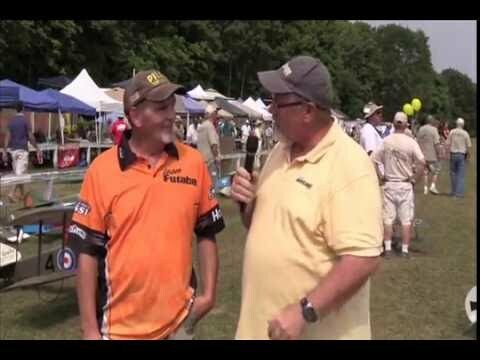 Thanks David, I am trying to power a old BALSA USA C-3. I used your link to Horizon Hobby and found a suggested power system. I love this hobby. On a matter of electric flight safety, a lot of computer transmitters will allow you to change “throttle” to “motor”. This is most important, as motor will allow you to program a cutoff or safety switch. I use a rotary dial as my safety switch. Plug in your drive battery, and esc is disabled until safety switch is flipped / rotated.